Exceptional, Personal Medical Care Care with a total focus on YOU! “ This doctor is truly exceptional! cared for, and completely at ease. If you have not yet made a decision to join my practice, I would welcome the opportunity to talk with you and answer any questions you may have. 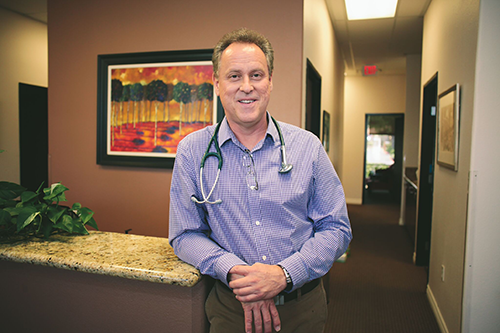 I Invite you to schedule a complimentary 30 minute consultation with me to discuss your health care needs and explore my innovative practice model. While you are here, I'll give you a personal tour of the practice. To schedule your complimentary consultation and tour, call Lillian at (702) 796-3847 She will also gladly answer any questions you may have. For every new patient you refer who signs up for my one-year program, you will receive an extra month at the end of your current patient contract. If you refer six new patients, you'll receive an additional six months. If you refer 12 new patients, you'll get a complimentary year of care. Las Vegas Concierge Medicine & Depression Treatment. FREE Personalized Consultation with Dr James Eells, Desert Shores, Summerlin, Las Vegas NV. © 2017 | Las Vegas Concierge Medicine & Depression Treatment. FREE Personalized Consultation with Dr James Eells, Desert Shores, Summerlin, Las Vegas NV.